As I write, the votes in Zimbabwe’s historic election are still being counted. I am encouraged to see reports indicating that voter turnout has been high and that the process has remained largely peaceful. We all hope this continues. For the first time in decades, the people of Zimbabwe have been able to speak freely about politics. I am hopeful that this is the start of a new era for Zimbabwe. The Elders believe these elections are of huge significance. 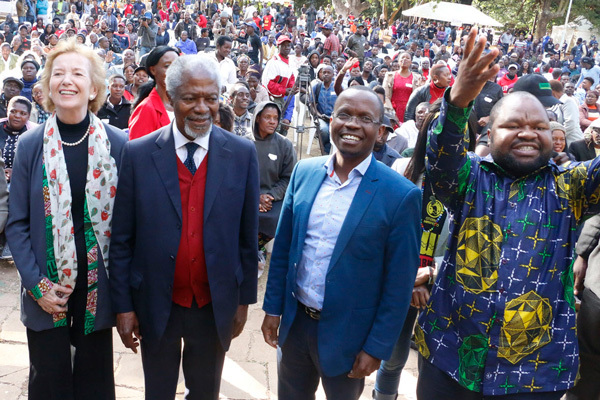 It’s why Kofi Annan, Lakhdar Brahimi and I travelled to Harare last month, to encourage a peaceful electoral process and cooperation to ensure a free, fair and transparent poll. We were able to meet with President Emmerson Mnangagwa, MDC Alliance leader Nelson Chamisa and other presidential candidates. We continued to feel encouraged by the improvement in fundamental freedoms in Zimbabwe since the end of 2017. However, we were concerned in particular by the polarisation in society ahead of the elections and the rise of hate speech towards women candidates and officials, especially on social media. This is unacceptable, and we encouraged voters to scrutinise candidates’ policies rather than personalities. During our visit we urged all stakeholders to ensure a fair election process and to support the integrity of the Zimbabwe Electoral Commission. We stressed that the authorities and security services must continue to allow free expression whatever the election outcome and not to revert to past tactics of violence and intimidation. Elections are just one step on the road to national renewal and Zimbabwe cannot afford more years of infighting, division and corruption. 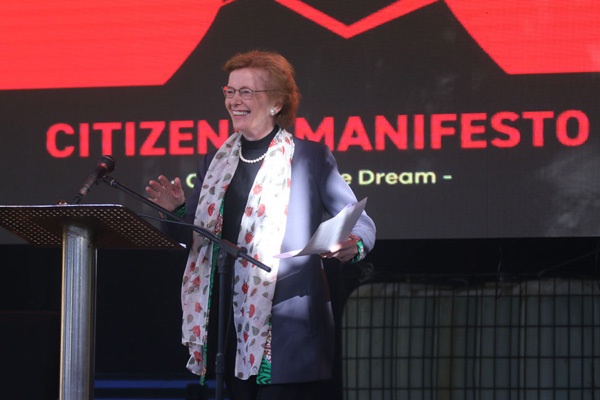 We were delighted to take part in the Citizens’ Manifesto National Convention whilst in Harare, where we met members of Zimbabwe’s thriving civil society - people deeply committed to building a better future for their country. As I said to the crowd in Harare, I believe that the ‘new Zimbabwe’ will come through transparency, accountability and democracy. We stand with them in their call for a brighter future. July is always a special month for The Elders as we celebrate Mandela Day on the 18th of the month. 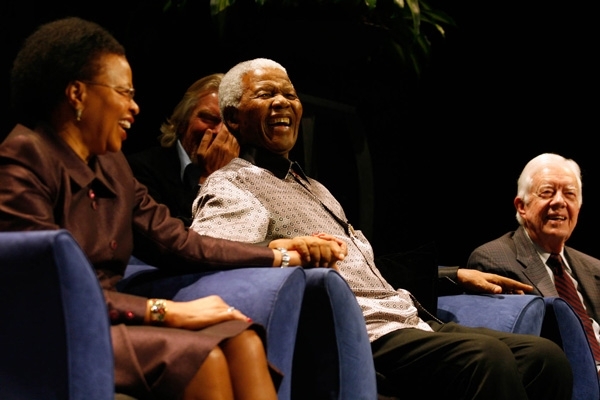 This year was particularly momentous because it was Madiba’s centenary year. I was delighted to join my good friends and fellow Elders Graça Machel, Lakhdar Brahimi and Kofi Annan in Johannesburg to mark the occasion. We were also in South Africa for the culmination of Walk Together – our campaign to continue Mandela’s long walk to freedom. Walk Together has been shining a light on 100 courageous organisations working towards the freedoms that Mandela dedicated his life to – Peace, Health, Justice and Equality – we call them our ‘Sparks of Hope’. Please do take a look at the incredible work they are doing. So, on a beautifully crisp and chilly Mandela Day, representatives from the Sparks, my fellow Elders and I led a walk through the streets of Johannesburg with civil society members, women’s networks and students. We finished the walk at Constitution Hill, where Mandela launched The Elders 11 years ago. 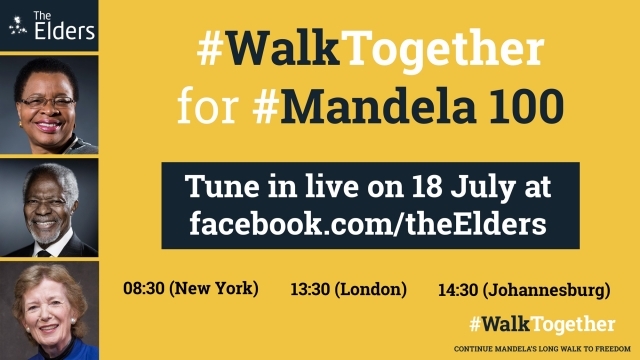 Events took place around the world too, with 180,000 joining our #WalkTogether webcast, and many more sharing with us what Mandela means to them. I have been so inspired by the energy, enthusiasm and commitment of the people I met with my fellow Elders during our visit. From young South Africans celebrating their incredible history, to Zimbabweans looking to a brighter future – the spirit of Madiba was present in them all.